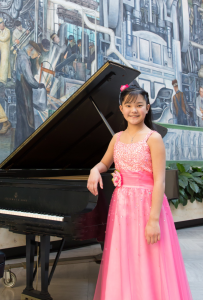 The Cliburn International Junior Piano Competition announces 24 competitors from 11 countries. 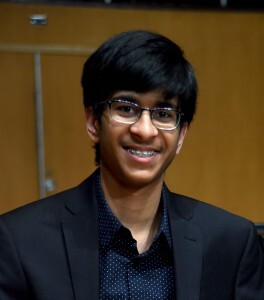 Ishan Loomba, 17, U.S. “I feel that music is the most important part of my life for reasons that are innate and unquantifiable, but also because music has given me a purpose beyond my own passions. This purpose is grounded in the need to communicate with others and to move them.” Photo courtesy of the Cliburn. Many are students of music academies and conservatories like Julliard, the Curtis Institute of Music, the Manhattan School of Music Precollege division, and the Xinghai Conservatory of Music. 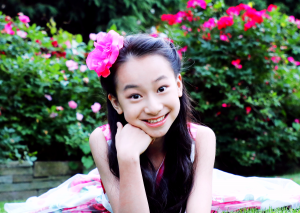 Harmony Zhu, 13, Canada. “I can never imagine my life without music—I eat, sleep, and breathe classical music! It is a way to communicate with people who are from different parts of the world and don’t speak the same language. It is something that everyone can understand and relate to.” Photo courtesy of the Cliburn. They perform alongside premier orchestras and compete around the world; the Cliburn is just one stop of many. Outside of piano, these students enjoy playing other instruments like violin and flute, traveling, sports, and chess. Naomi Yamaguchi, 14, Japan and the U.S. “I believe music is a medicine. Researchers are exploring how music therapy can improve the health of their patients, including premature infants and those with Parkinson’s disease. I feel honored to have the ability to play for them, and it is my passion to help others with my music.” Photo courtesy of the Cliburn. For the first time, a Cliburn competition will be held in Dallas. Laura Bush is honorary chairwoman. SMU Meadows’ resident-in-artist pianist, Alessio Bax, along with judges from France, Canada, Russia, the U.S., Israel, and Germany, will judge the competition. The preliminary, quarterfinal, and semifinal rounds will be held at Southern Methodist University in Dallas. The Final Round and Awards Ceremony will be held on June 8 at the Meyerson Symphony Center. 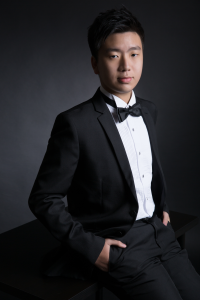 Chun Lam U, 16, Hong Kong “One of the reasons I truly love music is because I feel a sense of belonging when I play the piano, and this allows me to freely showcase my personality without fear.” Photo courtesy of the Cliburn. The 2019 Junior competition will be webcast live and free on the Cliburn web site. 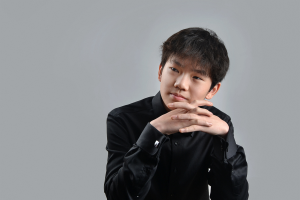 Hao Rao, 15, China “I’ve been to several competitions or festivals abroad, and every time it was a life-changing inspiration with unforgettable memories, but the Cliburn Fort Worth… that’s almost like the Vatican for pianists. For me, it almost seems like a fairy tale, and I will treasure every moment of this journey.” Photo courtesy of the Cliburn.